Free download HVAC project sample depends on chilled water system and ducted fan coil units. 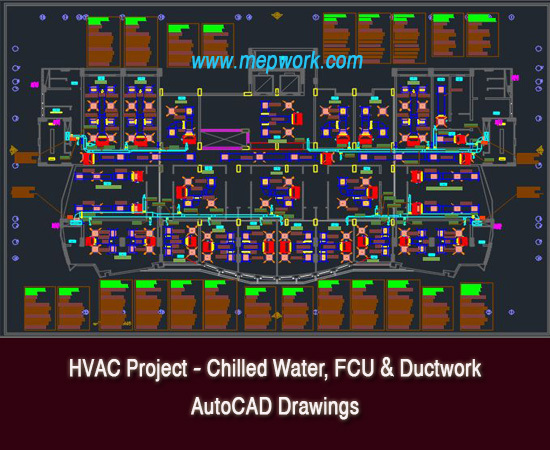 This HVAC project drawings include all AutoCAD dwg layouts for ductwork, drainage piping, chilled water piping, ventialtion and pressurization works. MEP WORK as usual helps beginners to join the seniors by providing HVAC project drawing samples. AutoCAD dwg drawings for already designed HVAC project. Free download and don't forget to download more project from here MEP Projects.